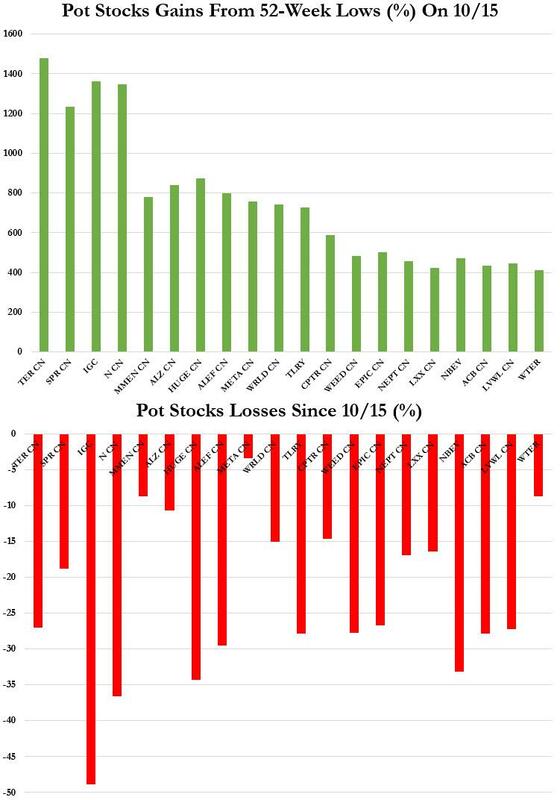 Pot stocks are getting smoked. Last Wednesday when Canada officially legalized weed, marijuana stocks suffered one of their biggest drubbings yet as the news was sold. At least Canadian shareholders had a quick, easy and legal way to dumb the pain. 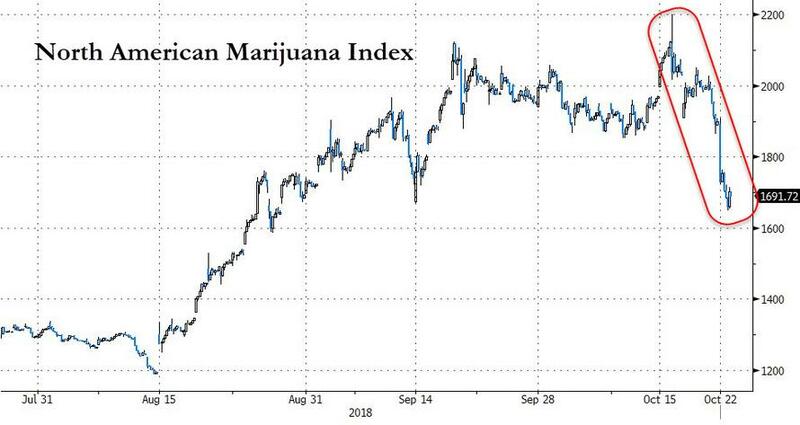 In retrospect, it appears that with a characteristic delayed reaction, the news was not sold enough, and on Monday pot stocks just suffered their worst day on record as the biggest U.S. pot ETF, the ETFMG Alternative Harvest ETF, plunged a record 11% on higher-than-usual volume, and down 20% from the recent "high." 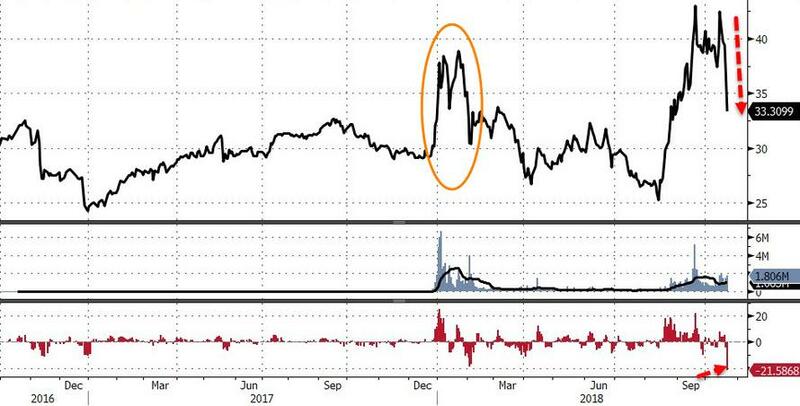 As shown in the chart below, the $750 million ETF, which uses the memorable ticker MJ, lost more than one-fifth of its value in the last five sessions as US equities slid. Meanwhile, the Toronto-listed Horizons Marijuana Life Sciences ETF, with C$977 million in assets, dropped as much as 14% to the lowest since January. The reason for the plunge is that many of the most closely followed names in the sector got crushed on Monday, with Tilray tumbling as much as 21%, followed by peer Aurora Cannabis's 18% slide. As the chart below shows, the 5 day losses for most names have been roughly 20% with some dropping as much as 50% in the past week. That said, a look at the big picture reveals no reason why pot investors should lose their monetary buzz: even after today's drop, Tilray shares still remain up close to 600% from its July IPO.